The state’s birth control policies dictate that a couple in Kongzi and Meili’s situation can have a second child once their daughter turns five, but Meili falls pregnant too soon, two or three years before her permitted time. While Meili has been able to conceal the early stages of her pregnancy, the couple are forced to go on the run fearing for the safety of their unborn child. It’s unflinching stuff, stark in its portrayal of the sheer savagery of abuse forced upon these families by the authorities. Once I get going, I rarely abandon a book. But in all honesty, if it weren’t for my involvement in the IFFP shadow group, I would have been quite close to bailing on The Dark Road at the 75-page mark. That’s not to say it’s a bad book; it’s well-written, the main characters and their environment are vividly painted and I admire Jian for the way he’s used fiction to expose these atrocities. But this is a book suffused with tragic encounters and shocking acts of brutality, all of which makes for a very distressing and heart-wrenching read. The only rays of hope here are Meili’s determination and her desire to seek a better life for her family…and that’s what spurred me on to finish reading this one. While researching and writing The Dark Road, Jian posed as an official reporter to gain access to family planning offices and hospitals where forced abortions and sterilisations are carried out. He also lived as a vagrant to experience life among those on the run from the consequences of China’s one-child policy. Jian has clearly drawn on this experience to great effect in his uncompromising depiction of the horrors that haunt this corner of the world. Finally, turning to The Dark Road’s chances as a contender for the IFFP, Ma Jian is a well-respected writer and considered one of China’s leading dissident voices. It’s a book that tackles an unpalatable topic and many of its images will linger in the mind long after the last page is turned. Even though it’s not one of my personal favourites from this year’s longlist, I wouldn’t be surprised if it progresses to the next stage…we shall see when the shortlist appears on 8th April. The Dark Road is published in the UK by Chatto & Windus. Read Jacqui’s other IFFP reviews: Brief Loves that Live Forever; Butterflies in November; A Man in Love; A Meal in Winter; Revenge; Strange Weather in Tokyo; Ten. All of these books about states/dictators controlling birth and family life are chilling. Shades of ‘The Handmaid’s Tale’. I grew up in a country where the opposite policy prevailed: abortion was illegal and women (even girls as young as 14) were checked twice a year for any signs of pregnancy. I’ve had friends of my parents who died because of back-street abortions. Equally horrifying. A story that needs to be told, I think, but difficult to read. Marina, the experience you describe reminds me of the Romanian film ‘4 Months, 3 Weeks and 2 Days’ about a woman trying to arrange an illegal abortion for her friend. I think it’s set in the late 1980s. I don’t know if you’ve seen it, but it’s an excellent film…an uncomfortable watch but, as you say, it’s another story that needs to be aired. Yep, that’s the country I meant. I did watch that film, Jacqui, and it was almost too true to life for me to bear. It seems to be an interesting read . 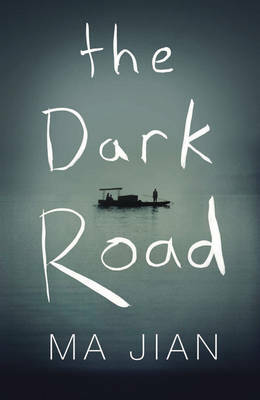 I am looking forward to read “The Dark Road” by Ma Jian. I haven’t decided yet whether to read this or not. I have a Mi Jian reviewed at mine which I liked, but didn’t entirely love. This sounds interesting, but I tend to be a bit ambivalent on “issues” novels, which this plainly is. Hi Max – yes, it’s very much an ‘issues’ novel; one that ticks many of the boxes for the IFFP so I can see why it made the longlist. From what I know of your tastes, I’m not convinced that you should rush to read this one (especially as you didn’t entirely love ‘Red Dust’). I didn’t particularly enjoy ‘The Dark Road’ and am a little reluctant to recommend it if I’m being honest!